Joel Embiid and Chandler Parsons square off, LeBron James dances like no one is watching and Tony Parker meets a jaguar. Yep, just a normal week in the NBA. Welcome back to The Crossover’s weekly social media power rankings, where we determine who won the week off the court. The eighth week of the NBA season was another strong one for Joel Embiid, who dueled his social media rival Chandler Parsons and duked it out with the likes of Dirk Nowitzki and LeBron James for the top honor. The Process continued to go in on his online foe, Chandler Parsons, this week. 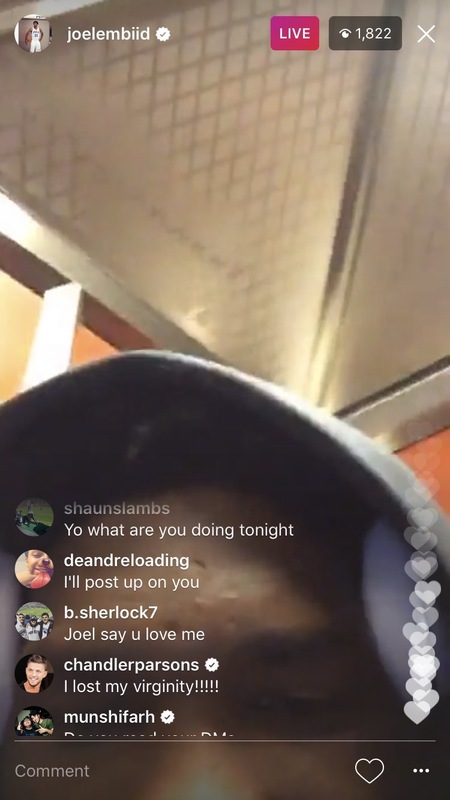 Almost a month after roasting him in a post, and commenting on one of his photos, Embiid got at him on his Instagram live video. Apparently, he got word that Chandler didn’t smash. 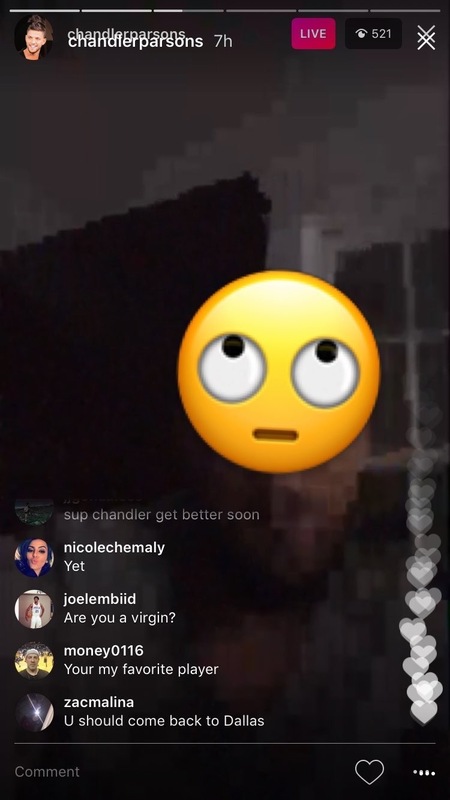 Chandler hopped on Embiid’s Instagram live to answer his question. Gotta love the dedication, but he could have thought up a better comeback. James, last week’s winner, had another strong week. He celebrated being named Sports Illustrated’s Sportsperson of the Year by jamming out to some Kendrick Lamar…all by himself. He’s allowed to do that, though. After all, he got us the album. Grandpa Dirk runs a pretty solid Twitter account in his spare time. This was great. The Kings are like the Kawhi Leonard of Twitter. Every day, they’re gonna be there. They tucked the Lakers in and put them to bed. The Spurs guard was at the San Antonio Zoo to name two jaguar cubs…and play some tug of war. The Raptors sang and danced to "Contagious" on their team plane after beating the 76ers. Look at Kyle Lowry! This is me. Michael Beasley. I believe this is the first dude to get ranked for his complete social media ineptitude. Beasley has no idea how Snapchat works. This video was all sorts of awesome.
.@buddyhield with back to back 3-pointers! The dude says “it’s lit” twice while he shoots. I want to believe he does that in games.